When we were staying at a hotel during our road trip, my uncle was telling Eric and me how he always takes home the hotel coffee. Since we still had a week of our trip, we decided to collect coffee for him, and I made this card to send to him with LOTS of coffee! The awesome embossed sentiment is from My Creative Time's "My Favorite Sayings" stamp set, which you can purchase here. I used the Creative Memories Cheerful Seasons Cricut cartridge for my 4" mug. 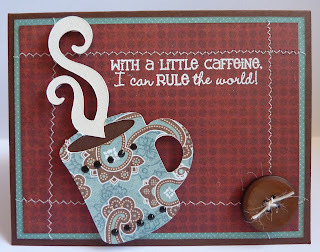 Here's a pic of the card with some of the coffee. Hi Katie, I love the card and all the coffee you have to send back. That is wonderful, enjoy your day. You are such a sweet niece! I know your uncle will love the terrific card! This is great! I really like the stitchind and button you added! too funny! 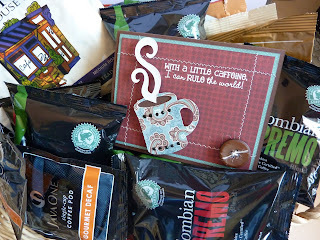 my DH takes it too...It's great to have decaf on hand for friends that can't have caffine! I want to be like you so organized, you haven't missed a beat being gone and crafting! I love it!! I love your stitching too.... awesome job. very nice, love the saying to, its all nice, love it!!! Love the card now I wonder which one he is going to love more the Coffee or the Card, LOL! 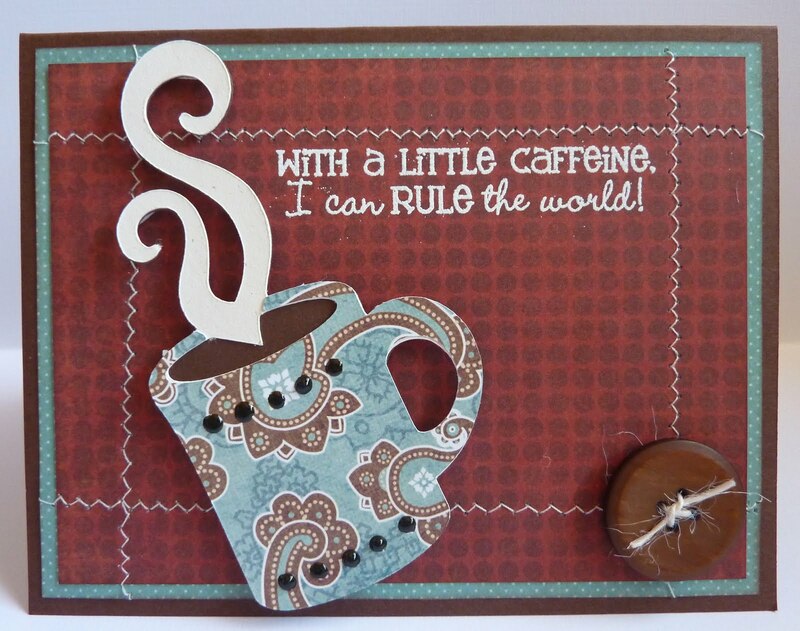 love the saying but now days I need A Lot of caffeine to rule the world! Love the blue cup on your plaid background paper really pops! Oh how funny:) He is gonna get a kick out of that! 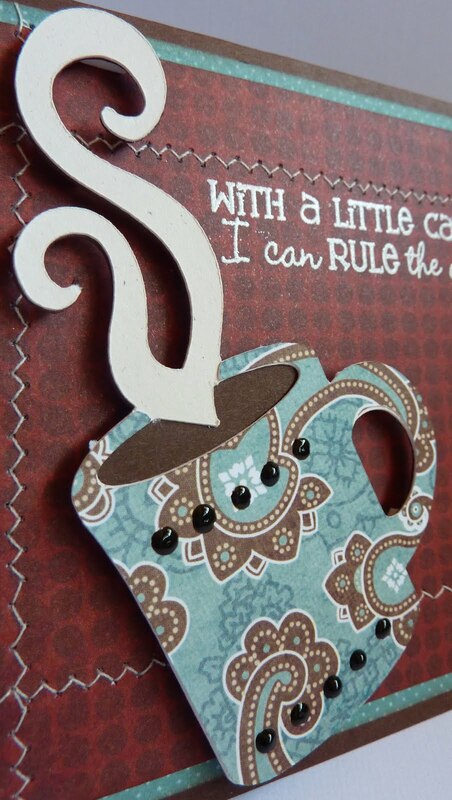 lOVE YOUR COFFEE CUP CARD.